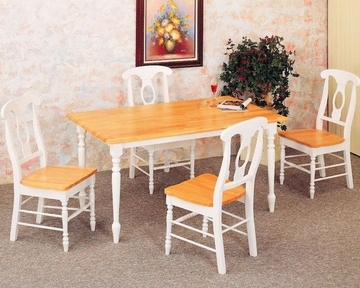 This simple dining table and chair set will give your casual dining room a charming style that you will love. 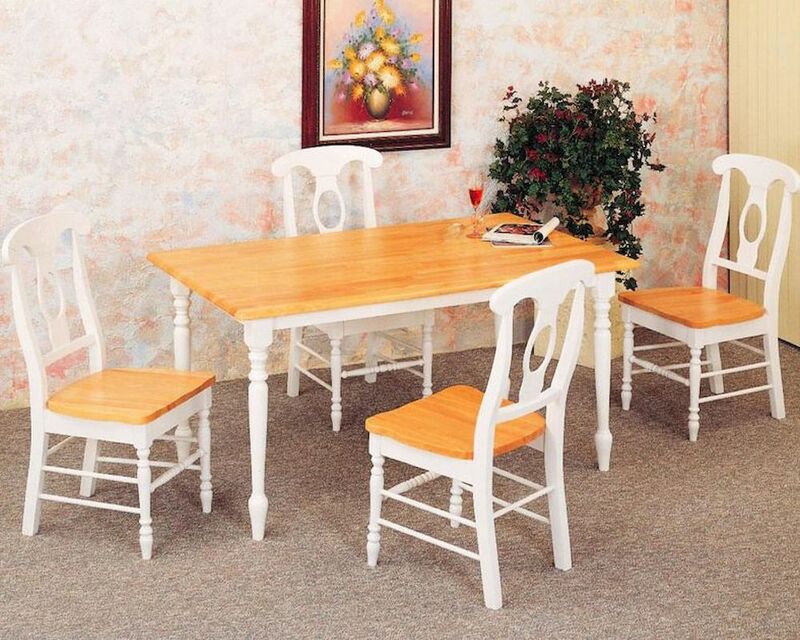 The smooth rectangular table top has rounded edges, above pretty turned legs. The simple chairs feature elegant lyre shaped backs, with elegant curves. A contoured wooden seat and pretty turned legs complete each simple but stylish chair. Add this lovely dining set to your home for a casual and comforting space where friends and family will love to gather.